The region of Piedmont is closely associated with food and wine. It is, after all, home to the Slow Food movement as well as Barolo and Barbaresco wines. But one part of Piedmont that is not usually identified with this region is the Lake District in the North. Here are some of the most charming lakeside towns that worth a visit. Start your tour with Orta San Giulio. This cozy village sits on the eastern shore of Lake Orta and is only an hour and half from Turin. This is the perfect off-the-beaten-path destination for anyone who is looking to visit a lake town in Italy. Think of it as Como before Clooney. Take a stroll down cafe-lined, cobblestoned streets that open up to Piazza Motta and the mirage-like Isola San Giulio, a built-up island that is only 902 feet in length and 459 feet in width, positioned right in the middle of the lake. You can reach the island by taking a ferry from Piazza Motta. Here the silence will envelop you and allow you to enjoy the 19th century villas, the Romanesque Basilica, and the Benedictine monastery. You can also walk up to the UNESCO World Heritage site of Sacro Monte di Orta from Piazza Motta. Climbing the winding path, you will find 20 chapels in a park-like setting dedicated to St. Francis. Each chapel is decorated with rococo and baroque frescoes. Sacro Monte di Orta is actually one of nine Sacred Mountains in northern Italy that are all UNESCO sites, noted for the harmonious way in which they were seamlessly built into the landscapes that surround them. Stresa is located on Lake Maggiore, one of the largest lakes in Italy. It offers lakefront promenades, 19th century villas, frescoed churches and botanical gardens. And if you are interested in a zoo with a view, make sure to check out Villa Pallavicino Park. The villa is surrounded by colorful gardens and a zoo that houses more than 40 different species of animals, including Shetland ponies, cockatiels flamingos. (Please note this park is only open from March-October). 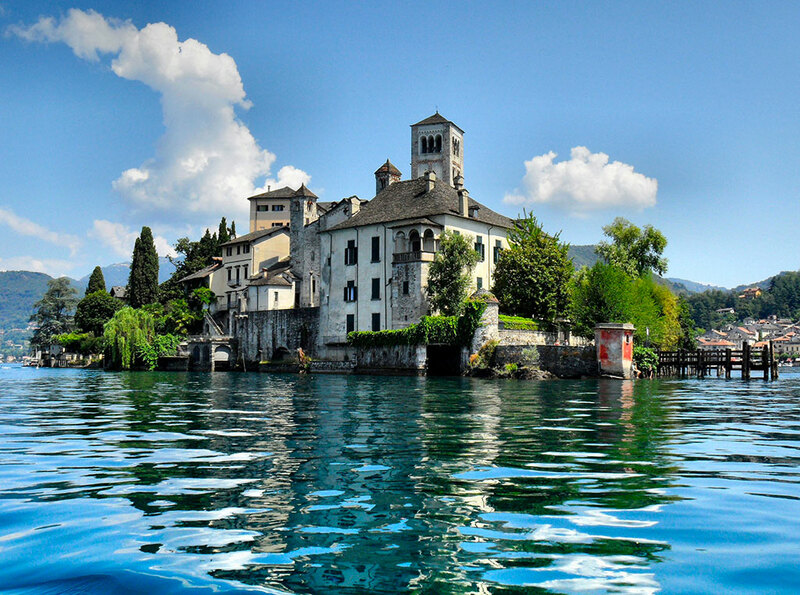 Similar to Orta, Stresa also has built-up islands in the middle of the lake called the Borromean Islands. But instead of one island, there are three and each one has their own feel and characteristics. Isola Pescatori (also called Isola Superiore) is a tiny town. There are less than 50 people living there! But don't worry, this village is no ghost town; many day-tripping visitors give the island a spirited vibe. Unassuming cafes, restaurants, shops and hotels flank the lively cobblestone streets. It is the place to go if you are looking for a long leisurely lunch or a glass of wine with a view. 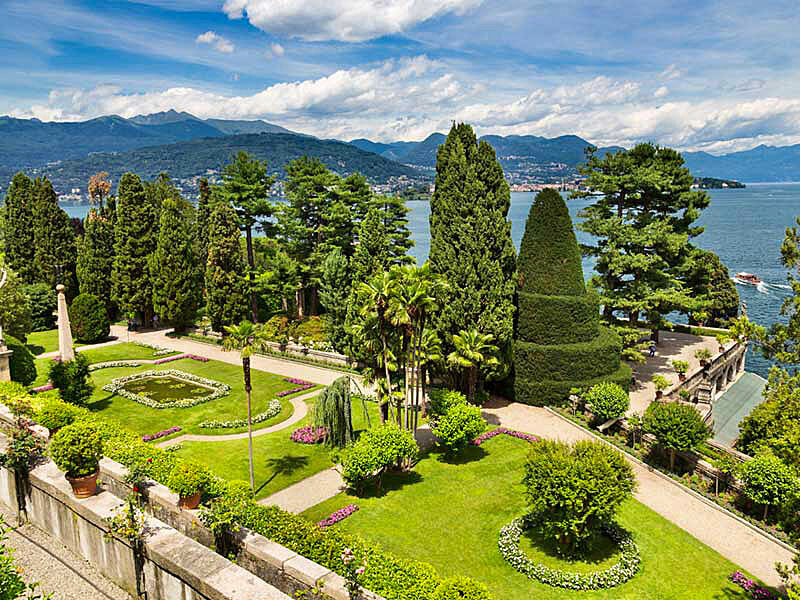 Isola Bella is the island to visit if you love palaces and gardens. The Borromeo family was responsible for both the beautifully manicured gardens and the opulent palace built during the 1600s. There are even peacocks that meander around the gardens—such extravagance! Enjoy the village located directly behind the palace grounds by exploring its specialty shops, restaurants and wine bars. Isola Madre is somewhat similar to Isola Bella but on a lower scale. Here you will find lush gardens that are less manicured, and instead of a palace, “only” a 16th century villa. Look for peace and relaxation on this island. You can reach all islands by ferry from Stresa. 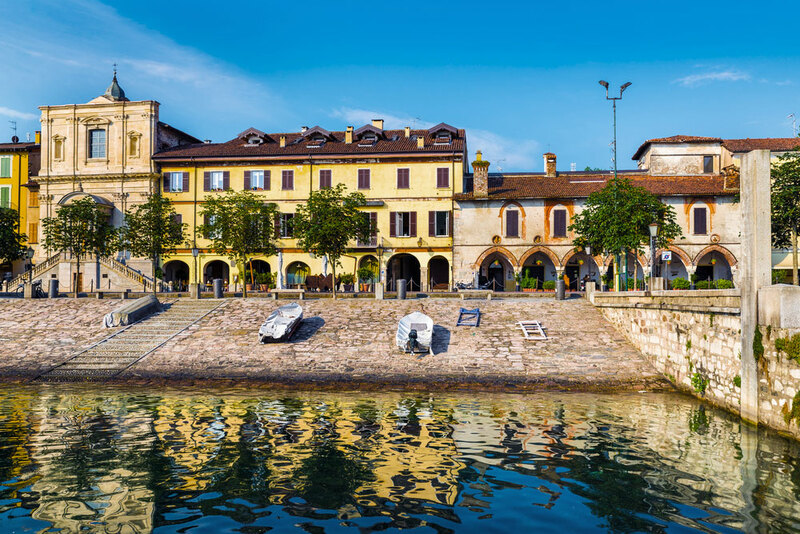 Arona is a colorful lakeside town where you would be hard pressed to find a tourist; but everywhere, you will find Italians doing what they do best: enjoying life. Join in the fun by taking a long, leisurely stroll on the waterfront trail while you eat your gelato. Continue on the path to the main town center where you will find restaurants and an expansive square that opens up to the lake. Make sure to visit the suggestive church of Santa Maria di Loreto. Building began on this church in 1592 and houses a reproduction of the Holy House of Loreto, whose original version has been believed since ancient times to be the home where the Virgin Mary raised young Jesus. Continue your journey to the inner heart of the town where specialty shops flank the narrow, brick streets. For a stupendous view of the lake and the surrounding areas, head up to Borromeo Rocca di Arona. Here are the remains of an imposing defensive fortress from the 1st century AD that was destroyed and later rebuilt by the Borromeo family beginning in the 15th century.